Changes in Arctic sea ice are an indicator of climate change. 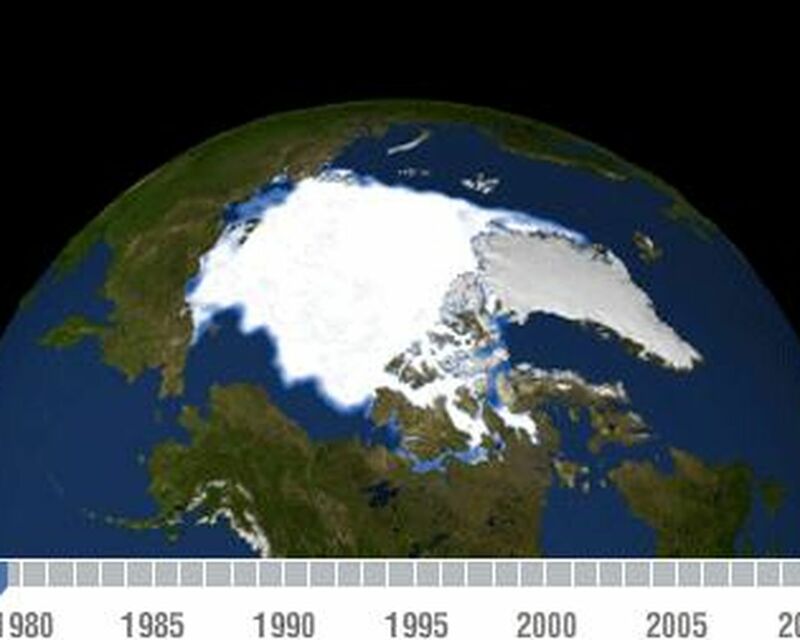 Observations from NASA satellites show that Arctic sea ice is now declining at a rate of 11.5 percent per decade, relative to the 1979 to 2000 average. 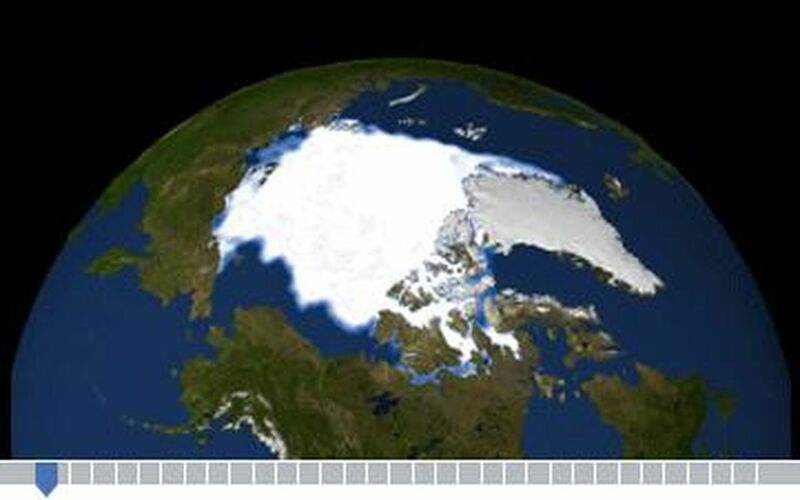 Arctic sea ice reaches its minimum extent each September. 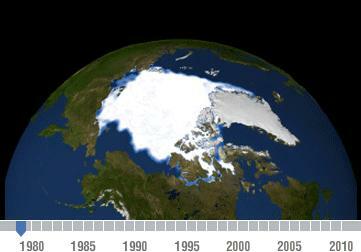 This time series, based on satellite data, shows the annual Arctic sea ice minimum since 1979. The September 2010 extent was the third lowest in the satellite record. Among the NASA missions that help monitor Earth's ice are the Gravity Recovery and Climate Experiment (GRACE), Terra and IceSat. This time series was created by the NASA/Goddard Scientific Visualization Studio and adapted for NASA's Global Climate Change website http://climate.nasa.gov/keyIndicators.